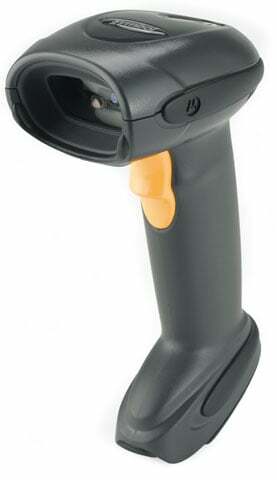 Motorola DS6878 - SCANNER ONLY, 2D Imager, Cordless. Color: Black. Radio/Charging Cradle, USB Cable, and Power supply sold separately. For the full kit purchase (Part# DS6878-TRBU0100ZWR). The Motorola DS6878-SR cordless 2D imager offers the complete data capture functionality required to streamline and error-proof everyday processes. Comfortable and easy-to-use, this single device can capture all common barcodes (1D, 2D and PDF417) on labels as well as on mobile phone displays. The optional hands-free presentation cradle enables additional advanced capabilities: signature, document and photo capture, optical character recognition (OCR) to capture text in documents, and MICR to capture numeric information on the bottom of checks. We use these scanners in our sequencing operations for the Automotive Industry. They have never failed. Easy to set up and use. To put it simply: It's a great product and we have no complaints...even after over a million scans! The Motorola DS6878-SR20007WR is also known as SYM-DS6878SR20007WR	or DS6878SR20007WR	.